Become the master of Zen in no time at all with the new Yoga Mat Bag. 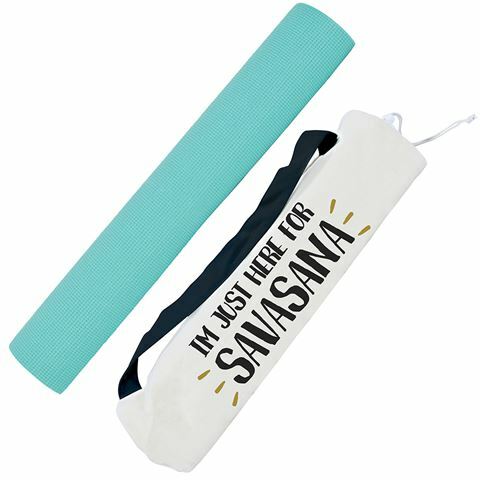 This trendy yoga accessory features a wide mouth opening that’s suitable for any-sized mat and a handy shoulder strap. 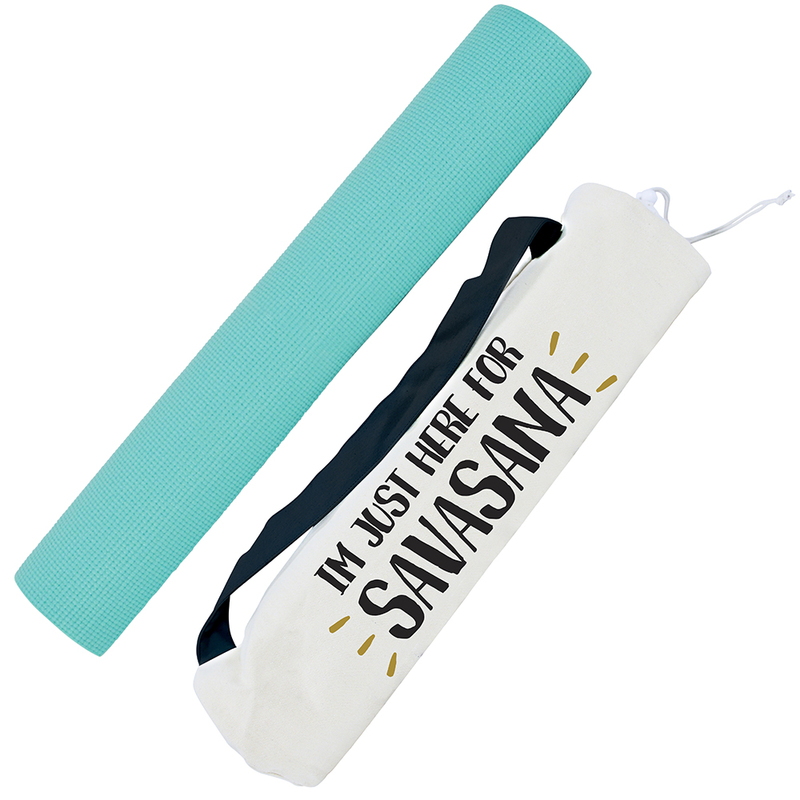 It even comes with a bonus yoga mat, meaning you can practice your downward-facing dog pose instantly. Crafted from a blend of cotton and polyester. Designed to comfortably fit a standard-sized yoga mat. Wide mouth opening with drawstring closure. Features the quote “I’m Just Here For Savasana” across the front. Comes with a bonus yoga mat. Mat Dimensions: 172cm (l) x 61cm (w).